Co-driver calls are one of the most critical components of a rally game. With no mini-map, no sat nav, and no other way of knowing what lies behind the next corner, accurate and timely co-driver calls are crucial to making sure you and your car make it through a stage in one piece. They’re also very important to immersion, too – not only do they perform the function of navigation, but when done well, they make you feel much more a part of the world you’re rallying within. With DiRT Rally 2.0, we’ve worked very hard to make it feel as authentic to the real-life experience as possible. At the helm of putting calls together for you is Codemasters Dialogue Producer Olly Johnson, who took some time out of his hectic schedule of recording co-driver calls to talk to me about DiRT Rally 2.0. I caught up with him about the method behind recording co-driver calls, what additions and refinements DiRT Rally 2.0 will introduce, and what sort of equipment we use to get the full effect. This led to Paul recording the calls for DiRT Rally three times: once with no stress or impact on the diaphragm, a second run with a medium impact (the one most commonly heard in game), and finally, a third super-fast run with the d-box ‘turned up to 11’, to really capture the stress and heightened tones of a co-driver voice in the throes of a blisteringly quick run. 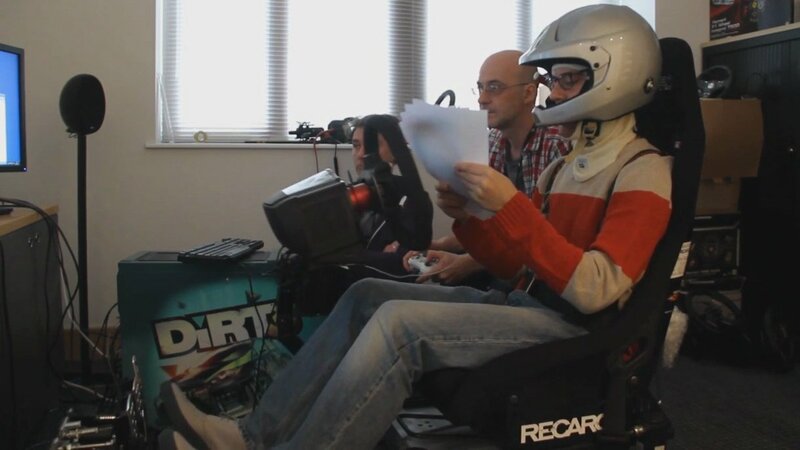 One of the ways we’ve done this is at the very start of a stage: ‘Co-drivers aren’t voice actors – so in previous games, when we’d ask them to record some “good luck” lines before a stage started, it sometimes felt a bit stilted. 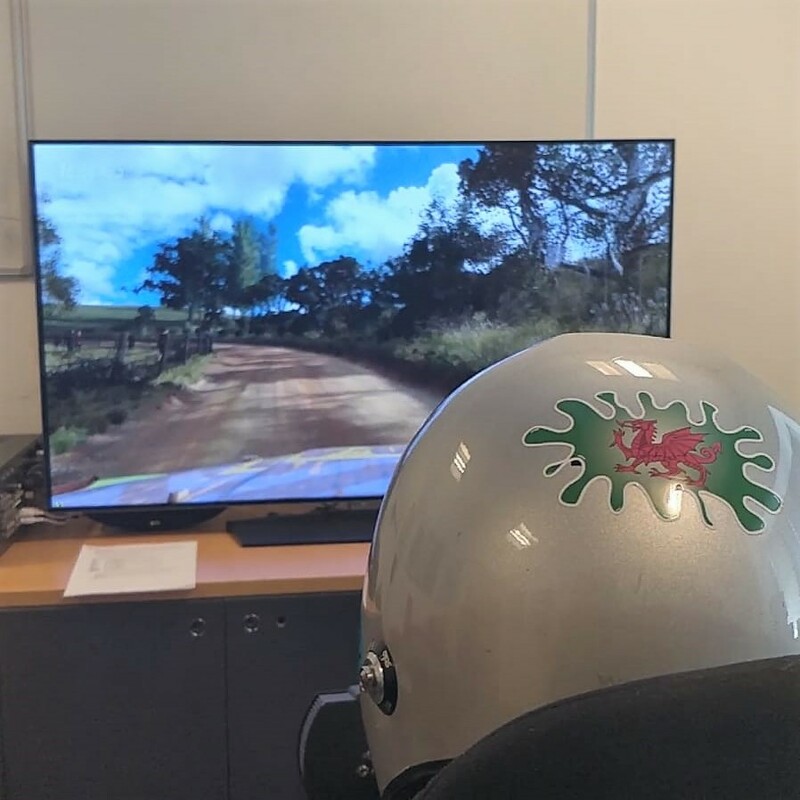 With DiRT Rally 2.0 we’ve actually got our co-drivers introducing the first couple of corners before you start, which feels much more natural – both to the co-driver and you, the driver. In fact, our German co-driver voice is that of Tanja Geilhausen, who has co-driving experience in the WRC – and she’s been in this week to record her calls. The process of making pace notes is an interesting one too, as of course, they don’t get to go on the usual kind of recce. They do get to see the stages as ran by Jon Armstrong, so they are able to formulate pace notes – but particularly with the tracks that aren’t necessarily finished while those calls are being recorded, things can change throughout the level design/building process. ‘When we recorded the New Zealand calls, the stage wasn’t 100% finished – so when level design started adding more furniture like rocks and trees, a few “cuts” became “don’t cut”!’ In this instance, the pace notes are more collaborative – as Jon Armstrong will then work with Phil on refining the pace notes further to make it more accurate to the final stage. And what of the co-drivers make of the experience themselves? ‘Phil absolutely loves it. At the end of every stage we’ve recorded, he’s paused and just gone “Brilliant!” afterwards. It’s a sight to behold when he’s in the zone too; bearing in mind that we’re asking him to do 18-20 rally stages in a week and he makes no mistakes, it just shows you how at the top of his game he is. ‘We also mentioned to him that we drove Nicky (Nicky Grist, former co-driver and DiRT 4 co-driver voice) into a few trees and off cliffs a few times to get the ‘reaction’ noises, and he couldn’t wait to have a go. We actually got Jon to sit next to him with a helmet on to do these – so Jon would drive him off the cliff and Phil would react to every bump and roll. Because Jon was there, after the car had stopped tumbling, he’d actually look over to Jon and say “are you OK?” – and it’s that level of realism that makes DiRT Rally 2.0 stand out so much.